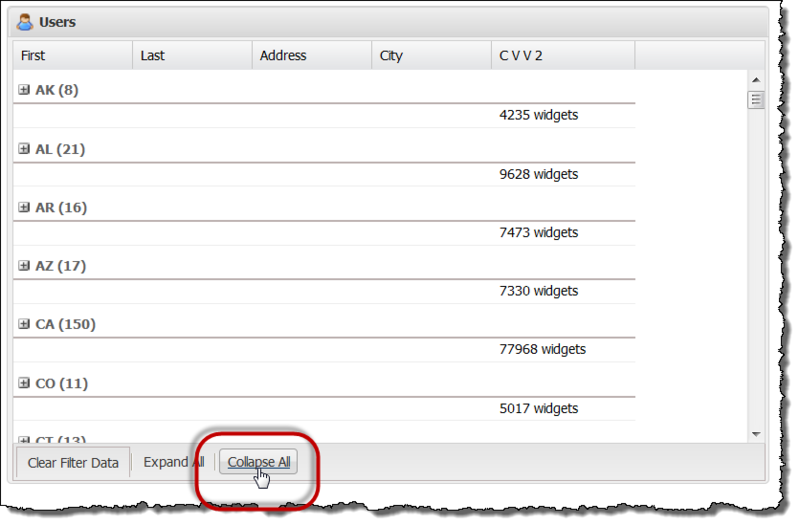 In this article I will highlight a feature of the grouping capability – the “summary grouping”. 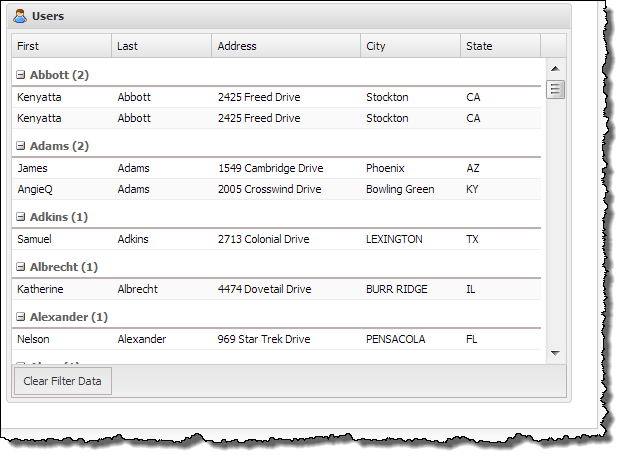 This feature can be easily used to provide column totals on your grouped grid. 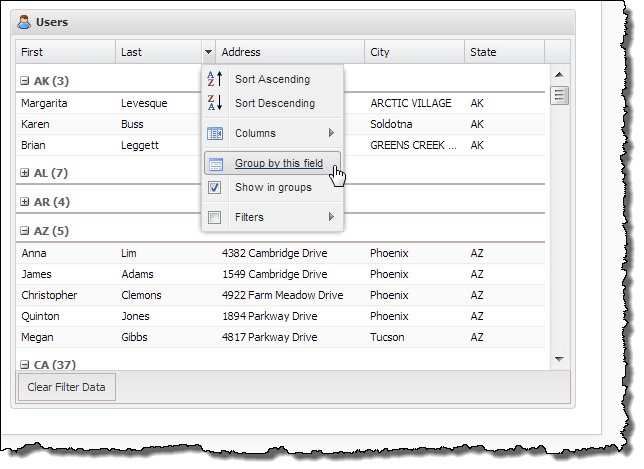 We are also going to look at collapsing and expanding all the groups easily and further enhancing your grid features. As we saw in the previous article, adding “grouping” to a grid is relatively simple and with only a couple of changes we are also able to provide column totals. 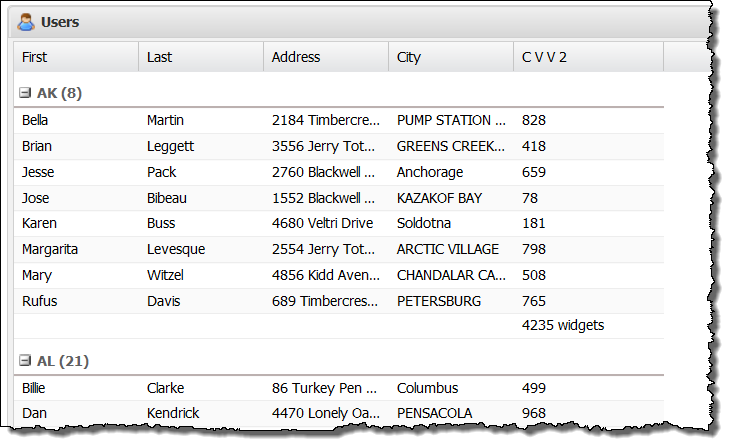 The example below shows the “sum” of the column for each group with a customizable label. We are going to change two things from our grouping example. 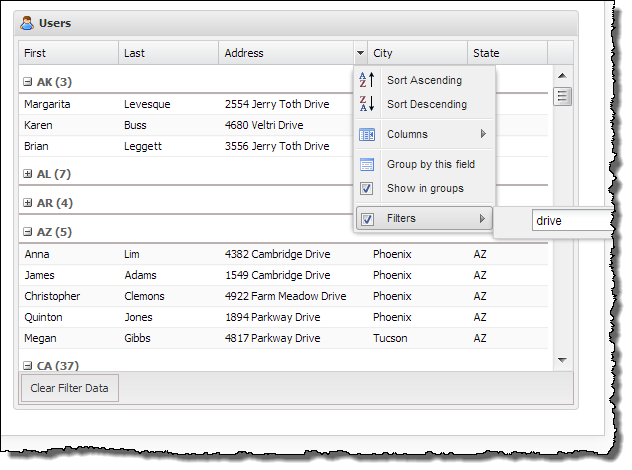 We are first going to change the Grouping feature to a GroupingSummary Feature. Other than that it is pretty much the same as before – I have added a couple of other optional parameters at the end so that the user cannot group the view by other columns. The second thing to change is adding parameters to the columns to show what kind of summary we want and what format we want it in. In this case I have added the CVV2 column to the previous grid (cos it has numbers in it) and here is the column. The example below shows the “average” of the column for each group. The summaryRenderer allows me to insert ” widgets” onto the end of the summary – but it could be hours, minutes years or any other label. You could even insert an icon or color the value based on status should you so chose. This code is equally applicable to the grouping feature in the last article. It is a simple peice of code which gets a handle on the feature (grouping or groupingSummary) and uses the 4.1 methods collapseAll() and expandAll() to do just that. The code below shows the updated gridDock object. Within that a “-” is a separator for the buttons. 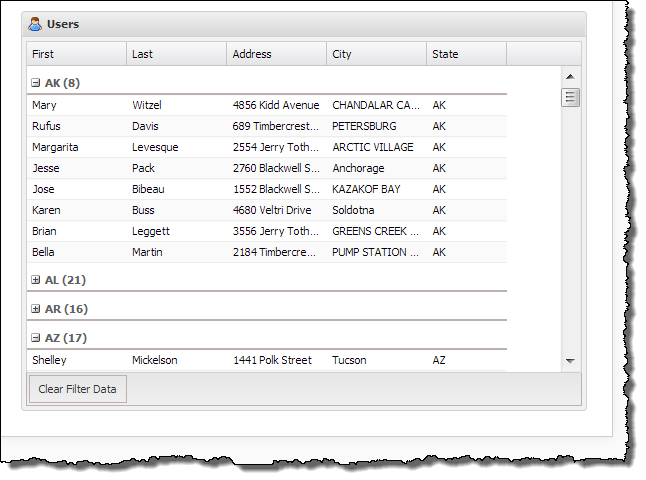 The groupingSummary allows for a very simple and once again effective way of displaying data to your users using the EXTJS grid library. What does that mean? If you have two variables or functions called the same thing then you can have conflict, pain and suffering. This can be caused by having multiple developers working on the same application and two of them using the same name for a function in a separate library they are working on, and then when the project is put together we have a problem. 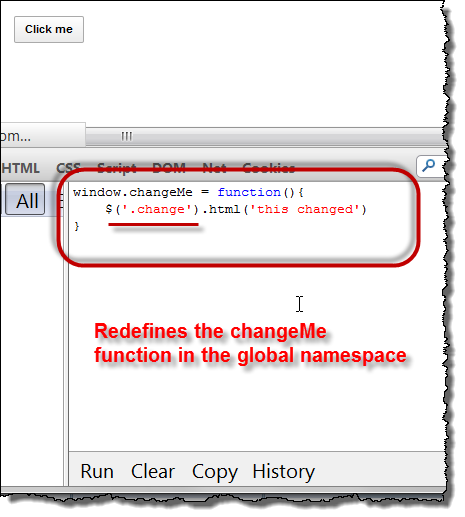 In addition as we have discussed if all the functions are at the top level within the namespace you have the risk of pollution and there is nothing more frustrating than staring at your correct looking function and wondering why it isn’t working, when in fact there is another function with the exact same name in the code you don’t know about. I expect many of you have been there, as have I. Using the syntax as I demonstrated for person above we are able to create an object with a meaningful name and within that create functions. So let’s plan to create our codebase with that premise…. The code assist shows us that person is typeOf array and accepts up to three parameters. We can think of this as a method of the Person object. If we add a string to our object the code assist tells us so. We can think of this as a property of the Person object. That makes for a much easier life when coding! 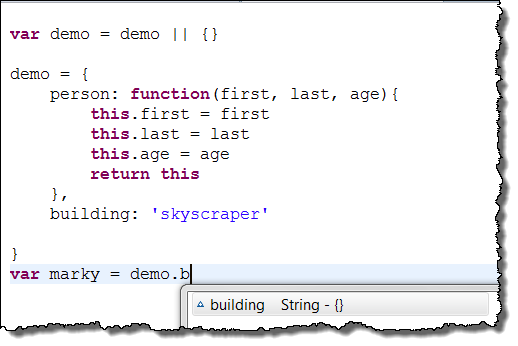 Although you can separate your code into separate .js files for each functional capability (e.g. graphs.js, charts.js) I believe that using the object literal notation can take that abstraction another step, making code easier to find. No – Boo ! Big fat Boo and it should only be allowed in specially controlled circumstances – it can only hurt innocent developers who didn’t realize the risks or hurt innocent users who do not understand the responsibility which comes with the power. 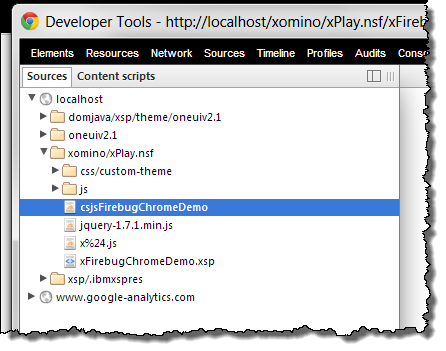 If you were able to give your users the ability to pass through some SSJS through the XPages web interface so that they could create some custom reports without having to add code to the database – that would be really nice of you, very flexible and kinda cool. You are in for a whole world of hurt. Who does eval() run as? The Signer of the XPage – which means in many corporate environments that is the signer id which has the ability to run unrestricted agents on the server – so in no time at all anyone could…and it would take most of us less than an hour to write this code…. 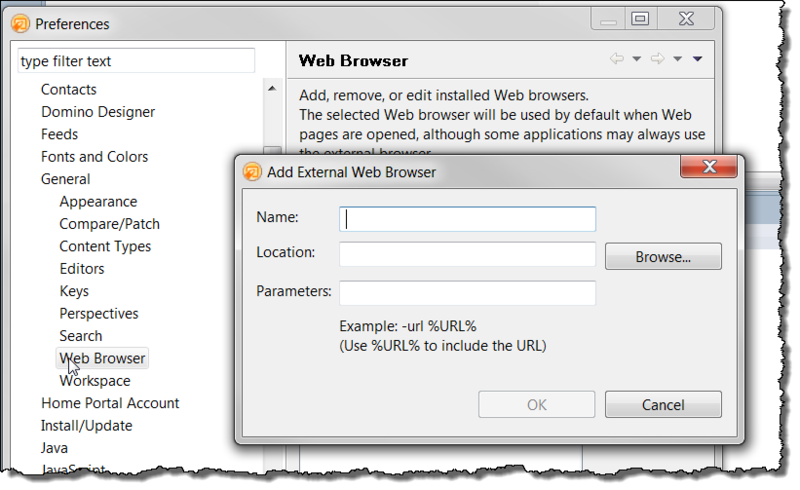 Yes I know you have the signer id or access to insert malicious code into your own environment – but your users don’t. Let me rephrase that – they had better not otherwise your administrators need beating with sharp sticks. Because the code would run as the signer it also gives users the potential to access areas of the server they would not otherwise have access to – databases, readers fields etc – that is also not good. And with this they have the power to cover their tracks as well – cos well it was clearly the signer who made the changes not them. Can we do anything to protect ourselves? 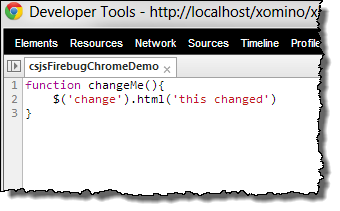 First – don’t let un-trusted, untested code into your environment – you wouldn’t let a developer do it, why let a non-developer do it ?! Then maybe, do code reviews and do not allow code to be run unless reviewed, locked and approved. This article is intentionally alarmist because I do not want to underestimate the potential risks involved. As I said in reality you are unlikely to cause any more trouble to stupid users than them hurting themselves. eval() is used judiciously and in a well controlled manner is extremely powerful and allows developers the ability to do things otherwise impossible. With using eval() comes the need for a complete understanding of the risks evolved. Used incorrectly it could be used to destroy your environment in a manner very few other code snippets are able to. 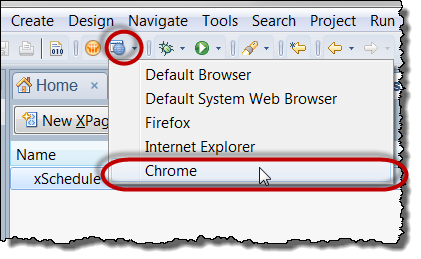 In this article I will demonstrate how grouping can be added to the EXTJS grid within your XPage and how the number of rows within that group can be totaled and displayed to the user. “Categorization” is something we are used to in the world of Domino Views and we can also create a pseudo total of the categorized columns by totaling an adjacent column. This is functional but is hardly aesthetically pleasing. We do not have to add much to our code to include the grouping feature. 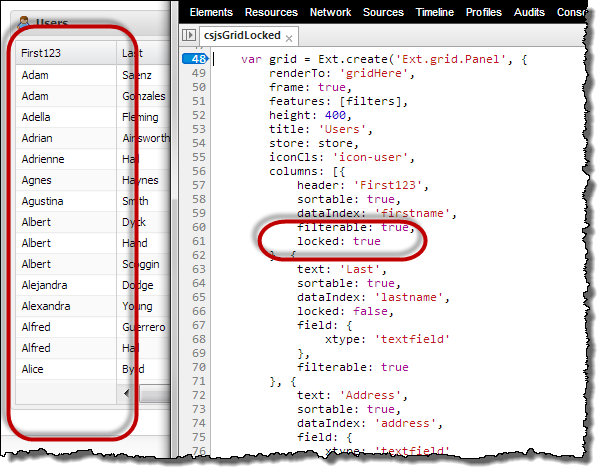 We first create a new variable inside of the createGrid() function representing the new feature. There are a few parameters to discuss in this code block but for the most part I think the code is self explanatory. group line is displayed. 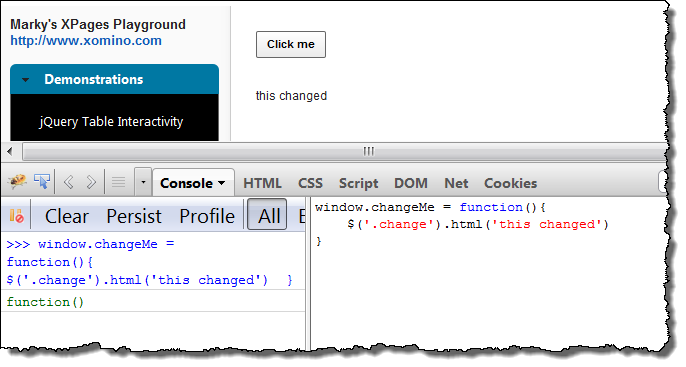 In this case we are using the EXT templating technique. formatName (referenced in the previous this.formatName) is a conditional function which determines if there is a value to even display as the group header. In this case if there are blank fields in the grouped column it will display “None” instead of just displaying nothing and a number. That’s it – once again a big increase in functionality with a relatively simple incremental code addition to the grids we already had. In this article I have only scratched the surface of the possibilities with the grouped grid. Good looking categories with counts are something we have strived for in Notes for a long time and I think this is a very neat solution. 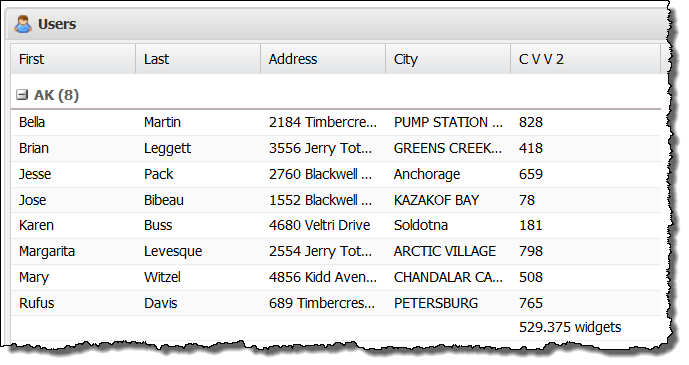 In this article I will highlight a grid column property which allows the developer to lock the columns on an EXTJS grid in a similar fashion to freezing a frame in excel. 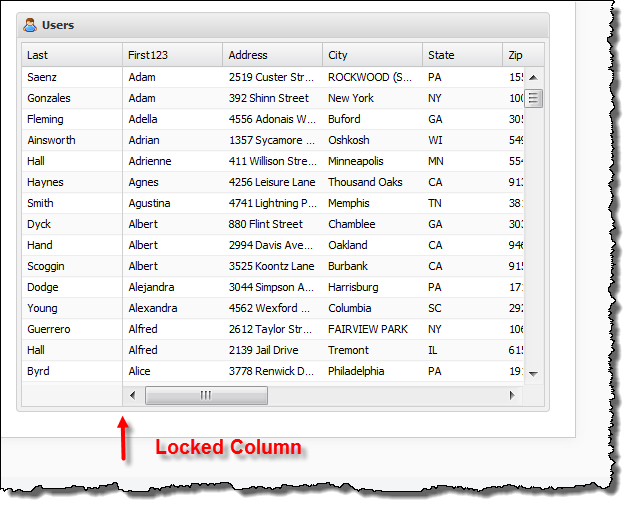 Locking a column (or two or three) is a very useful way of retaining reference information on the left and being able to scroll across multiple pieces of information to the right. 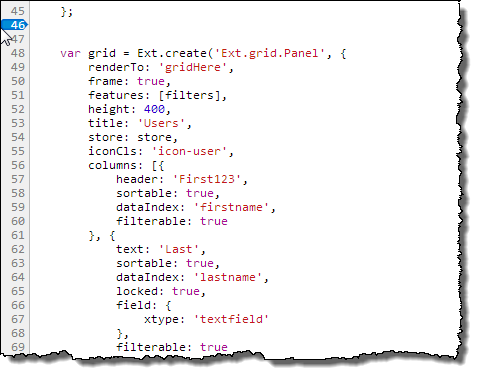 Doing so in an EXTJS grid creates the effect show below whereby a horizontal scrollbar is added to the grid to the right of the locked column. It is a column property ‘locked = true’. 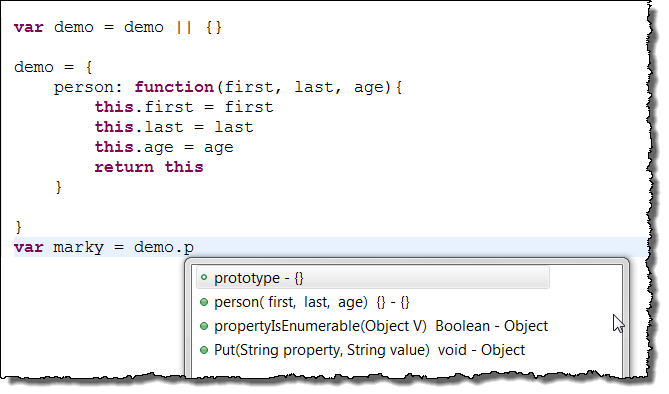 The example code below uses the REST example as demonstrated before and I added the locked property to the first column. You do not have to use the REST service example, that was the just the one I chose.